UPDATED: Thu., April 12, 2018, 3:38 p.m.
Walmart will add more than 500 “pickup towers” to stores across the U.S. this year, including the north Spokane location. Customers order items online, but travel to a brick-and-mortar store to pick up their purchases at a kiosk. The concept expands Walmart’s reach in online shopping, while allowing the retailer to eliminate home-delivery costs. The 16-foot-tall towers operate like “a high-tech vending machine,” Walmart says on its blog. Customers scan a code from their smartphone to a computer screen at the tower. Their purchase drops down in a box. 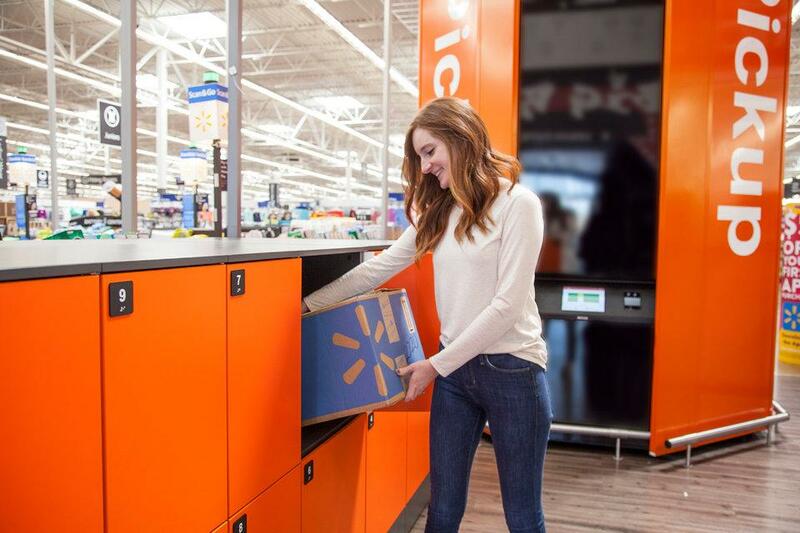 Since Walmart debuted the pickup towers at nearly 200 stores last year, customers have placed more than 500,000 orders, according to the Bentonville, Arkansas-based retailer. Each new pickup tower will come with a “pickup locker,” allowing customers to retrieve larger products and fragile items, such as televisions. By the end of the year, about 40 percent of the U.S. population will have access to a pickup tower, Walmart officials say. For Walmart, the pickup towers are part of the evolving retail environment. Competitor Amazon offers a similar program, Amazon Lockers, which allows customers to pick up online purchases at a secure location. Walmart’s Supercenter at 9212 N. Colton St. in Spokane already allows customers to order groceries online and pick them up at the store. The north Spokane store will get a pickup tower in late fall as part of a larger store remodel, a Walmart representative said. Walmart will spend $56 million on 16 Washington store remodels this year. Besides the pickup towers, the remodels typically include larger organic, deli and bakery departments; better selections of electronics and baby items; and wider aisles and better lighting, according to Walmart. Walmart expects to have more than 700 pickup towers at store locations by the end of the year. “… It costs less for us to ship to stores (compared to home deliveries), so our customers should share in those savings,” Walmart’s blog says. Walmart plans to start offering customer discounts on online-only items that are shipped to stores for pickup, according to the blog. Published: April 11, 2018, 4:45 p.m. Updated: April 12, 2018, 3:38 p.m.